A graduation ceremony essential is your school's custom announcement. The announcement is ordered and given to anyone attending your graduation ceremony and close family or friends (i.e. grandparents, aunts, etc…) It features the school symbol, school colors and silver foil accents. 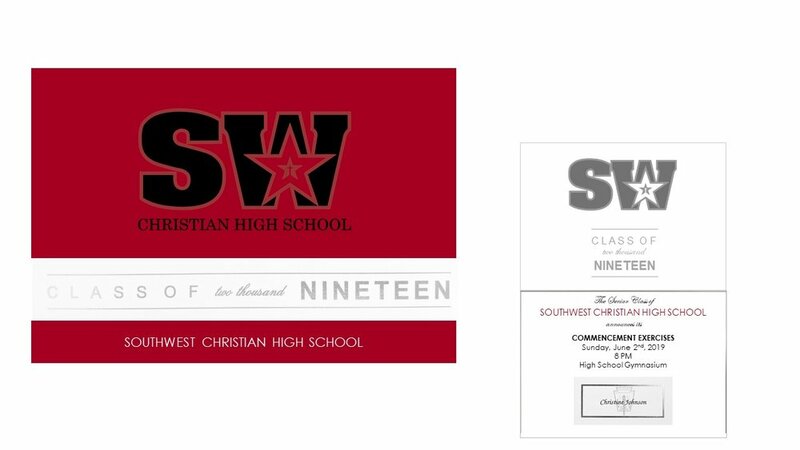 Your school mascot and symbols are available for personalization on any design. Buy now with other grad essentials and design later when you're ready with party details. A custom design code will be emailed to you.